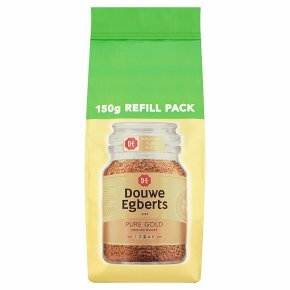 Refill me: We recommend you use this pack to refill your Douwe Egberts jar. Have a little coffee left over in the pack? Once open, use the handy sticker to re-seal & keep your coffee fresh. For the perfect Classic Roast coffee simply add milk and sugar to taste.